You really have to be looking for Kilbride Kirk in order to find it, but that’s part of its charm. 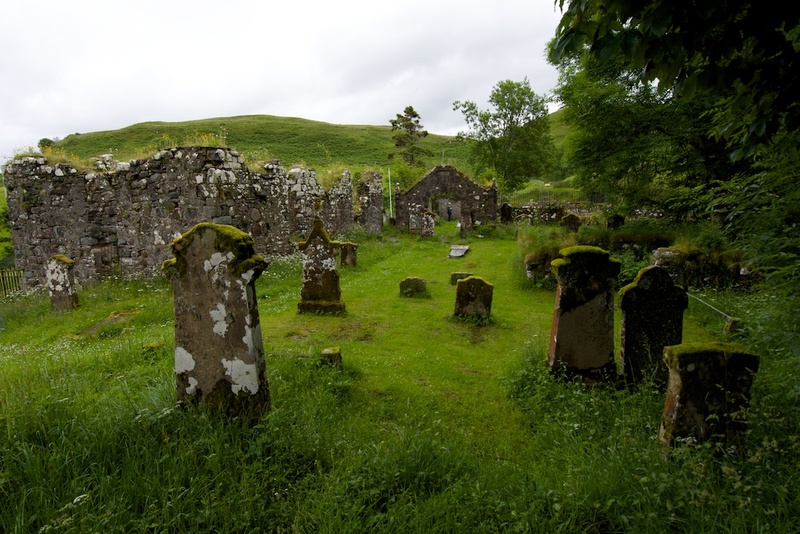 From the single-track road that snakes its way down towards Loch Feochan, a farm track doubles back to the left, and in a few seconds you find yourself by the church gate, looking up at the graveyard on a slightly raised patch of ground, beneath some trees. 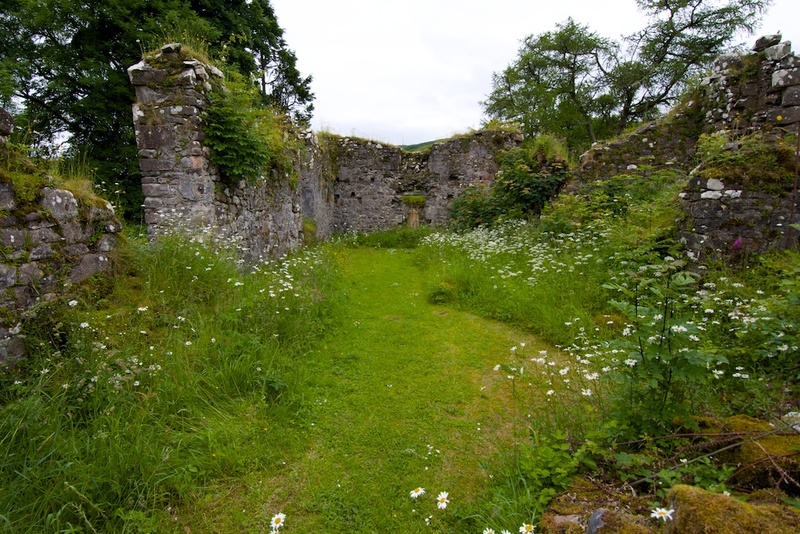 It was late June, and everything was lush and green, with oxeye daisies and dog roses weaving a wild garden around the ruins. How long has there been a church at Kilbride? It’s impossible to say with any certainty. A church dedicated to St Bride may have been erected here in the 5th century by early Christian missionaries from Ireland. (The ‘kil’ element in place-names denotes a church, and originally described a hermit’s cell). St Bride’s feast day is Candlemas – 1st February. I love to think of her as the ‘coming of the light’, bringing new hope after the darkness of winter. Any traces of that 5th century church have long since disappeared. The ruins that stand in this quiet little spot date from 1706, although it is known that they replaced an earlier building of the 13th century; a few of the gravestones date from that time. This was once an important centre of worship, attracting a congregation from many miles around. 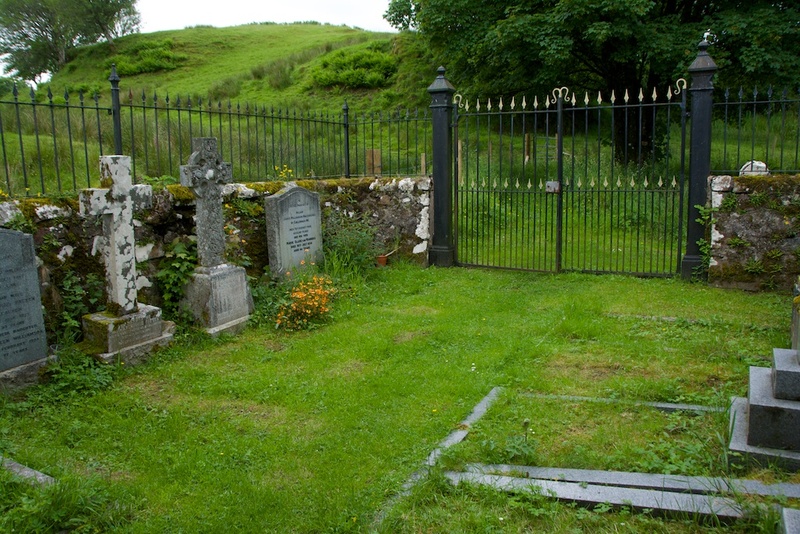 Residents of the Isle of Kerrera would sail across to Gallanach and walk along the old drove road to the church. 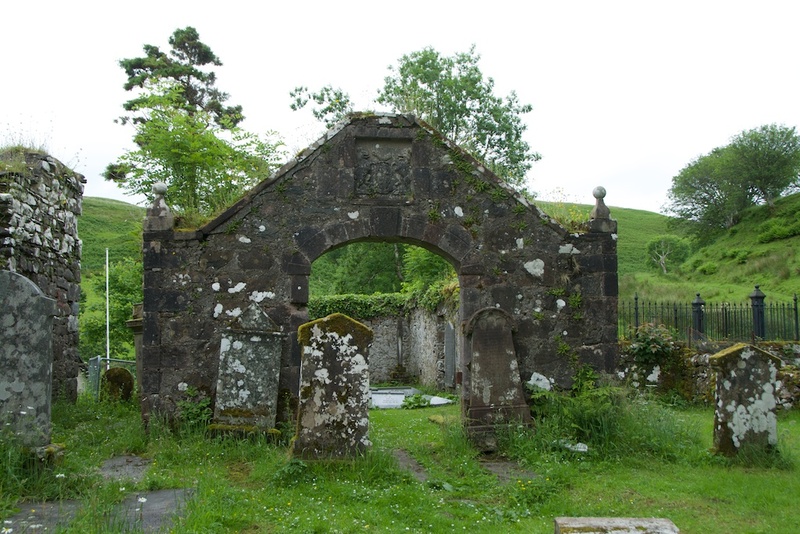 In 1249, as he lay dying on Kerrera, Alexander II signed a document that transferred the main seat of the Diocese of Argyll from St Moluag’s church on Lismore to the church at Kilbride – although this was never put into practice. 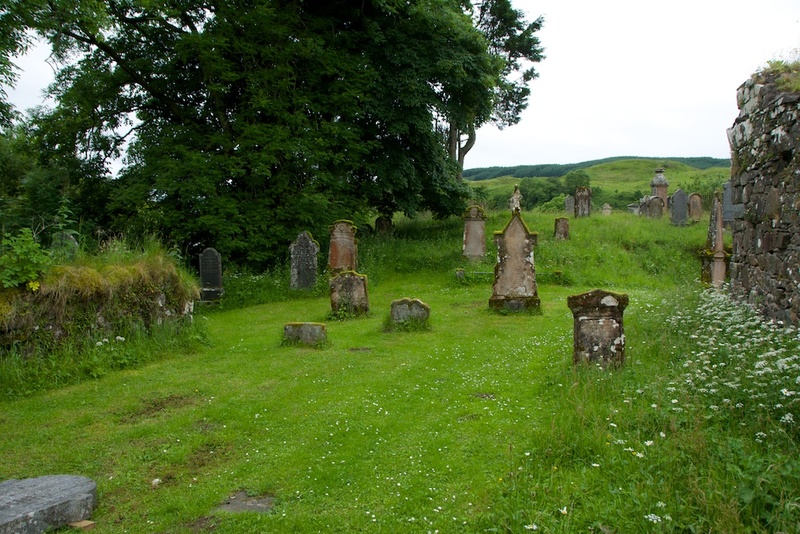 Kilbride is a traditional burial ground of the MacDougalls, and many successive clan chiefs from the 18th century onwards are laid to rest in the unroofed burial aisle adjacent to the church. Among the occupants is the Jacobite chief, Iain Ciar (Dark John) MacDougall who died in 1737. 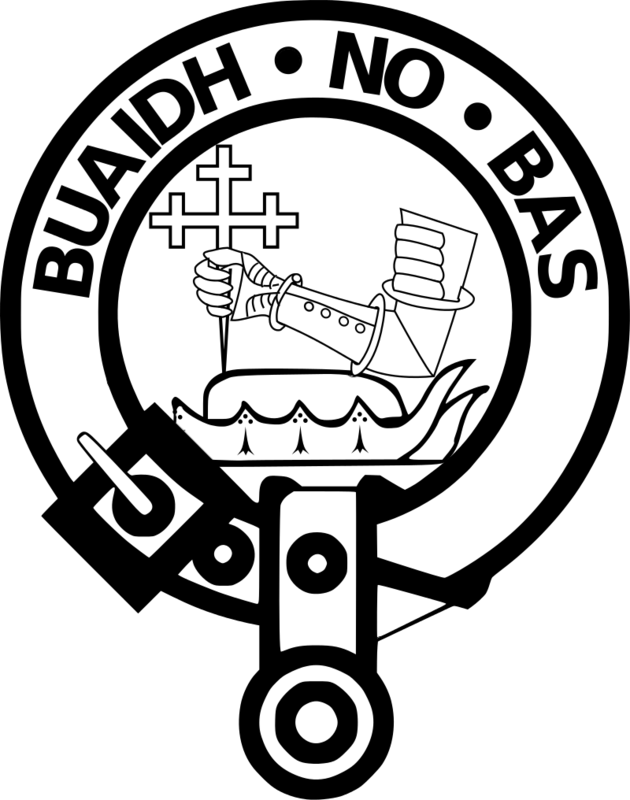 The clan MacDougall (from the Gaelic dubh-gall or ‘black stranger’) takes its name from Dougall, one of the sons of Somerled, a 12th century warrior of possible Norse-Gaelic descent. On his death, Somerled’s territories in western Scotland and the islands were divided among his sons, and Dougall’s share included land in the Firth of Lorn. MacDougall strongholds are scattered up and down the coast of Argyll; among them are Dunstaffnage and Dunollie near Oban, and Castle Coeffin on the Isle of Lismore. 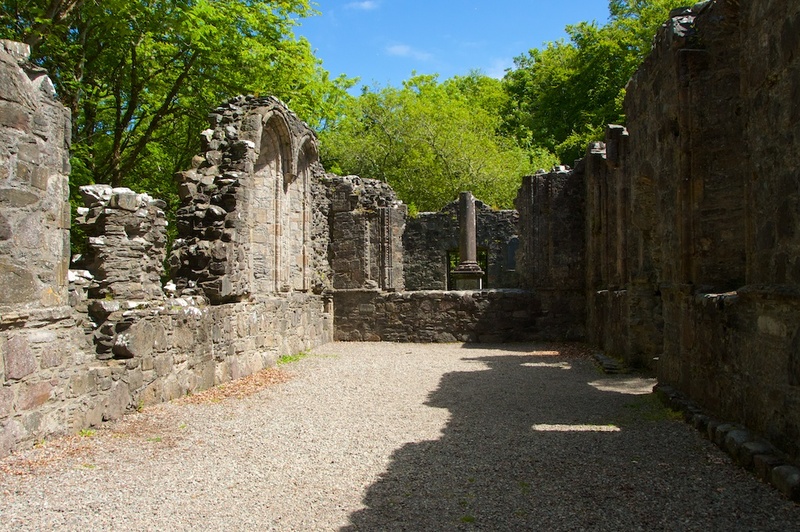 Somerled’s grandson, Duncan MacDougall, founded Ardchattan Priory on Loch Etive in 1230. Where they stand under trees, the stones have a rich growth of mosses. The ground underfoot is soft and damp, making no sound as you tread carefully around the graves. Some stones attest to the loss of many children; you read the simple inscriptions and your heart catches at the unwritten words. Yet this didn’t strike me as a sad place, or at least it was hard to be sad with birds in full song and foxgloves nodding against the broken walls. It’s quiet, but not eerily so – in fact there’s a deep sense of comfort. I was curious to know about the connection between the MacDougalls of Kilbride and the nearby Lerags Cross, which was erected by a Campbell in 1516. When did the transfer of land ownership take place? The answer makes a tangled and blood-stained story that would probably take several hours to tell beside a roaring log fire on a dark winter’s night! Scott MacDougald of the Clan MacDougall Society of North America has very kindly explained the complexities of it, and I will try to summarise them here. During the Wars of Independence the MacDougalls opposed Robert the Bruce, and were defeated by him at the Pass of Brander in 1309. 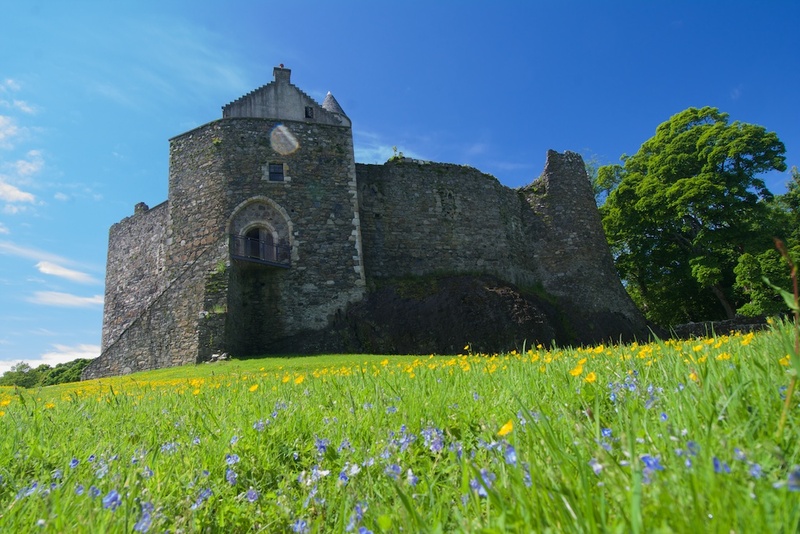 Confiscated MacDougall lands were distributed among Bruce’s Campbell allies… but a reversal in fortune was partly brought about by Bruce’s son, David II, who returned some of the MacDougall lands, including Dunstaffnage Castle, to John ‘Gallda‘ MacDougall, and made him Lord of Lorn. But John MacDougall died without male heirs, and his daughters married Stewarts; thus the Lordship of Lorn passed to the Stewart family. 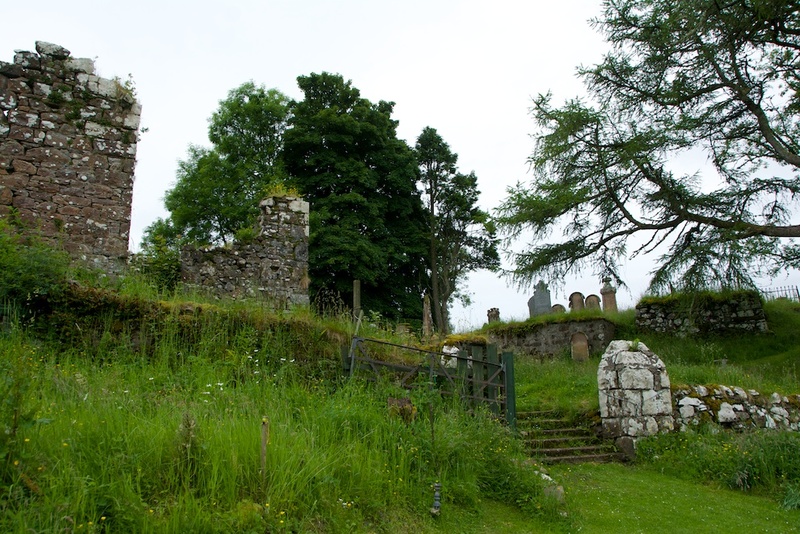 In 1463 John Stewart was murdered by Alan MacCoul, a renegade member of the MacDougall clan, on his way to his own wedding at Dunstaffnage Chapel. John Stewart’s three daughters had married Campbells; his wedding was an attempt to legitimise his only son, Dugald, born out of wedlock. John sealed his wedding vows with his dying breath, but the dispute continued. After several years of bitter feuding, culminating in 1468 at the Battle of An Stalc at Portnacroish in Appin, the lands of Lorn were divided between a new branch of Stewarts – the Stewarts of Appin – and Walter Stewart, brother of the murdered John. 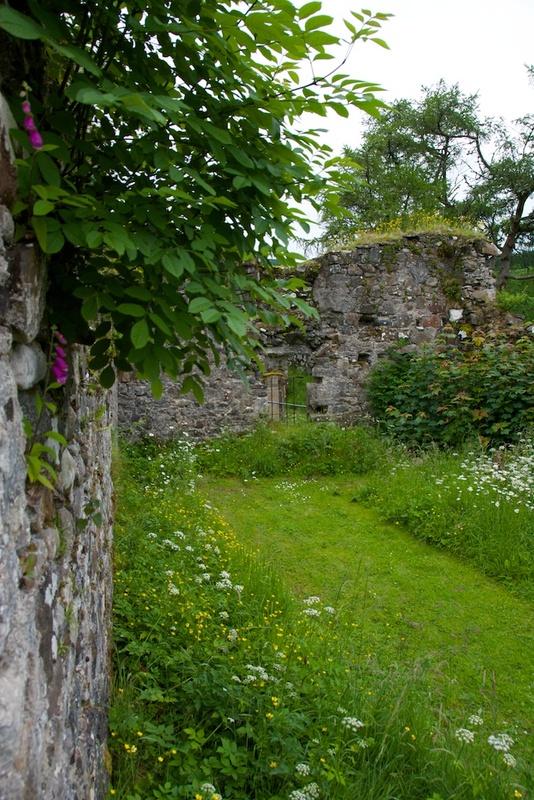 In 1470 Walter Stewart’s portion, which included the lands of Lerags, was acquired by the Campbells of Lochawe. Beautiful place and fascinating history of it! Thank you, Pat! 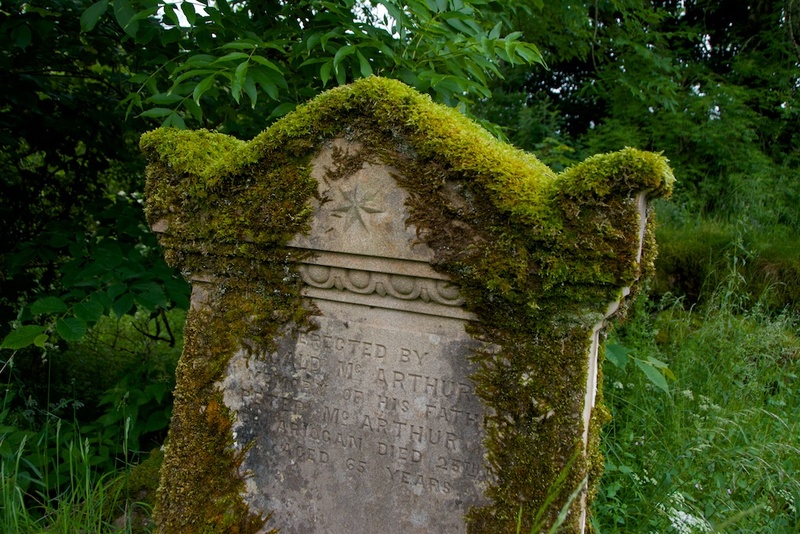 Yes, every gravestone has its own unique story – you could spend ages there, contemplating them all. Yes, lichen is so artistic! 🙂 Well worth the visit to this hidden little place. I love this post. The serenity portrayed by the words, imagery and beautiful photos are a perfect foil, hide the discord and violence of the turbulent past of the people who ly there. Such a contrast! That’s very kind, Tom, thank you! Really glad that it conveyed some of the wonderfully serene atmosphere. You’re so right about the contrast. There’s something very reassuring about that! What an interesting little find. It’s strange, the way graveyards can be comforting places. You’d think that surrounded by all that death and decay they’d be the opposite. Just occasionally I’ve found them unsettling, but more often than not they seem restful and even uplifting. I can imagine the peace at this particular place from your photographs and descriptions. 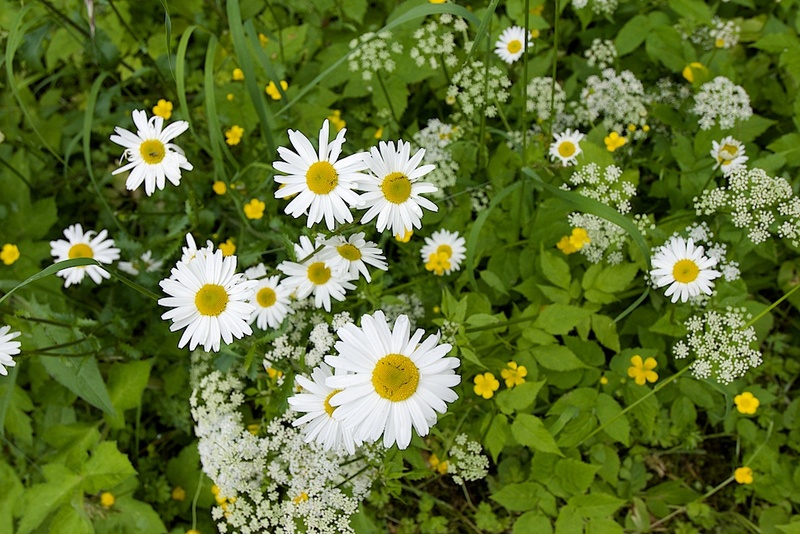 Perhaps the presence of the wildflowers gives a sense of renewal and hope. I think so, Lorna – in a way it’s nice to see places being ‘softened’ by nature. There must be a very blurry line between this and conservation! I love thinking of the people who worshipped here, what they may have been feeling and hoping. 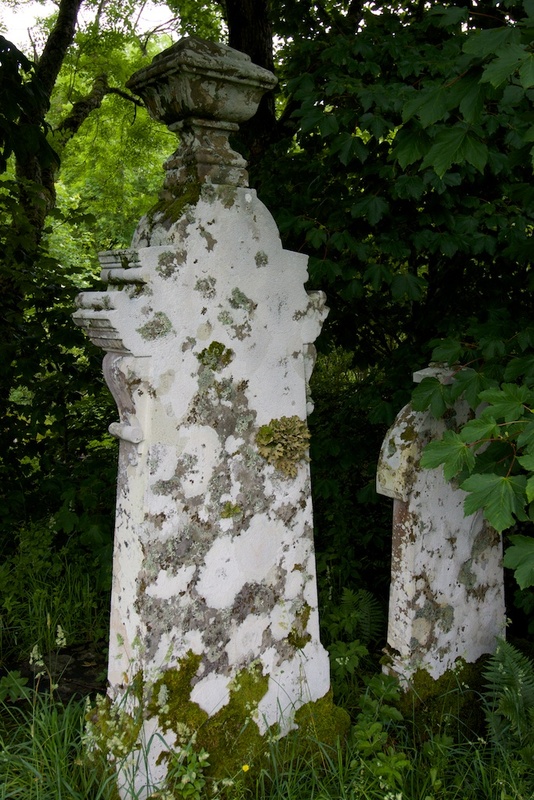 Graveyards can have different atmospheres, as you say, but here at least there was a real sense of peace. Simply wonderful. My kind of place – I enjoy visiting most popular attractions, but something a little more out of the way, with stories and a few mysteries to unravel, well, you’ve nailed it. 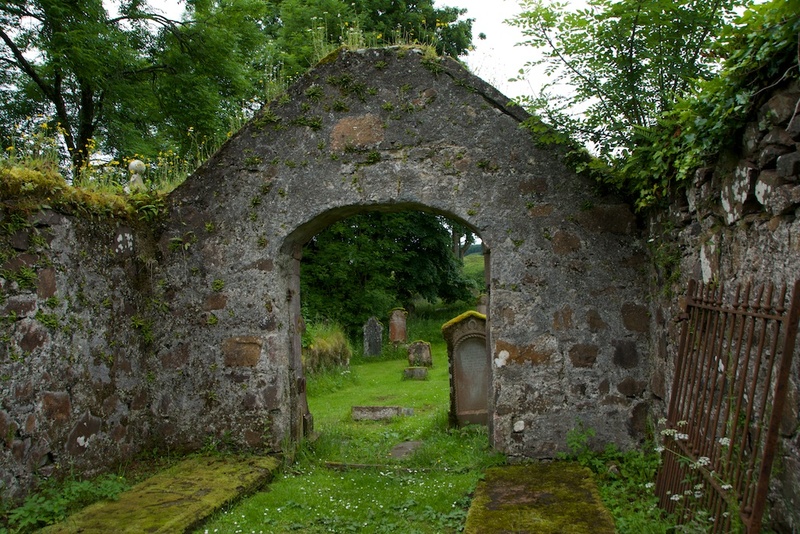 A ruined church and graveyard – perfect! Thank you – so glad you enjoyed it! Yes, I know what you mean – the ‘big’ attractions are wonderful but there’s something about finding these little places and exploring them for yourself, by yourself, and discovering the stories that are hidden there. Would love to be able to get a copy of this? Ila, You might like to visit web site http://www.friendsofkilbride.scot….Liam Griffin Friends of Kilbride. Thank you for the informative article on Kilbride. My name is Liam Griffin. 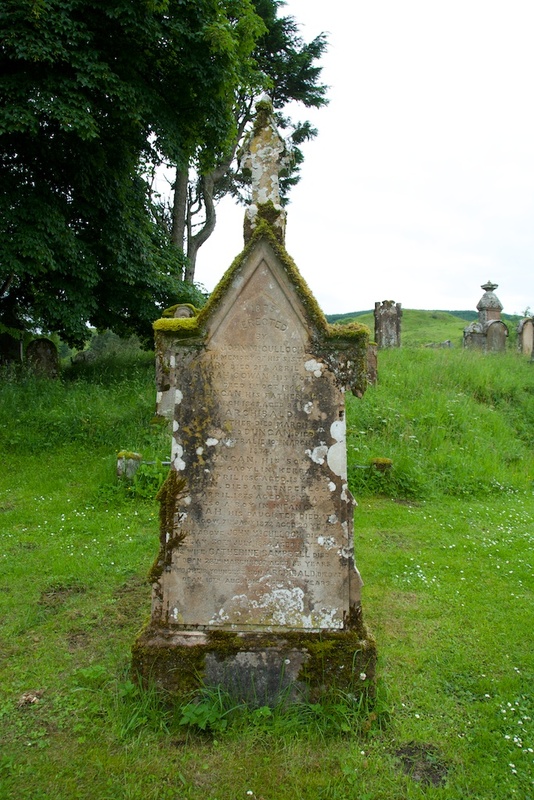 My wife and I are title holders to the site at Kilbride, other than the MacDougall Aisle of Remembrance and attached cemeteries, which are owned by Clan MacDougall.. We purchased the title from a local farmer with personal funds of £15,000. We were determined to rescue it from its overgrown and derelict state. With Clan MacDougall, we subsumed the joint titles into the registered charity, FRIENDS OF KILBRIDE, and last year began the task of making its story available to all. 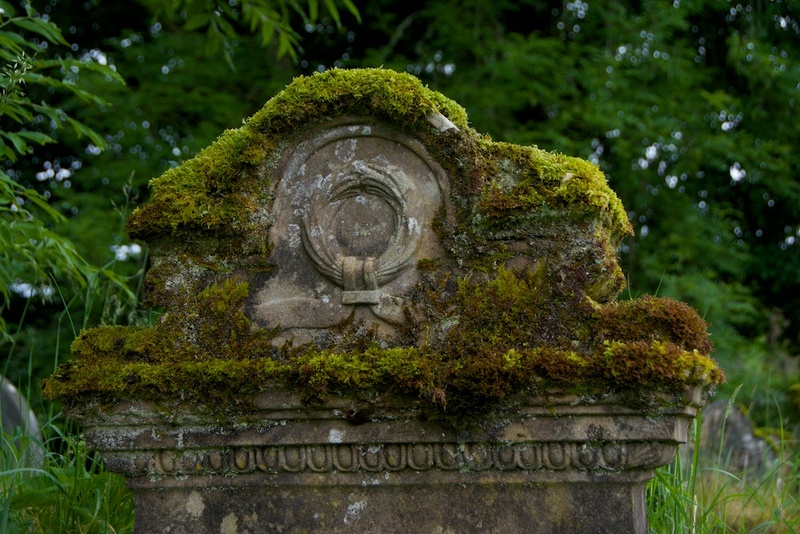 Our aims are succinctly expressed in a little saying I came up with: “Kilbride: A past too rich to have no future.” whilst I enjoyed the article and the photographs, I would add that KILBRIDE is more than a graveyard. It is living history, and a stage for tasteful performances, such as live music. Kilbride even figured in a film. There are all sorts of events booked or planned. Anyone visiting Oban is welcome to telephone us (the number is on the web page…www.friendsofkilbride.scot) You’ll find a very special wee film on there backed by a tranquil cello and guitar composition played by local musicians. Our architect has prepared a preservation plan for Kilbride’s structures, which is costed at £200,000 and has been enthusiastically approved by Historic Environment Scotland, (who have visited the site.) So far we have raised about 50% of the capital sum. In addition, our volunteers have committed something over £25,000 in site clearance and erection of safety fences, grass cutting, ivy removal, and the like. Since the photos in the article were taken, we have created a ” heritage trail.” Plaques are erected along the trail, with notes pertaining to relevant history. 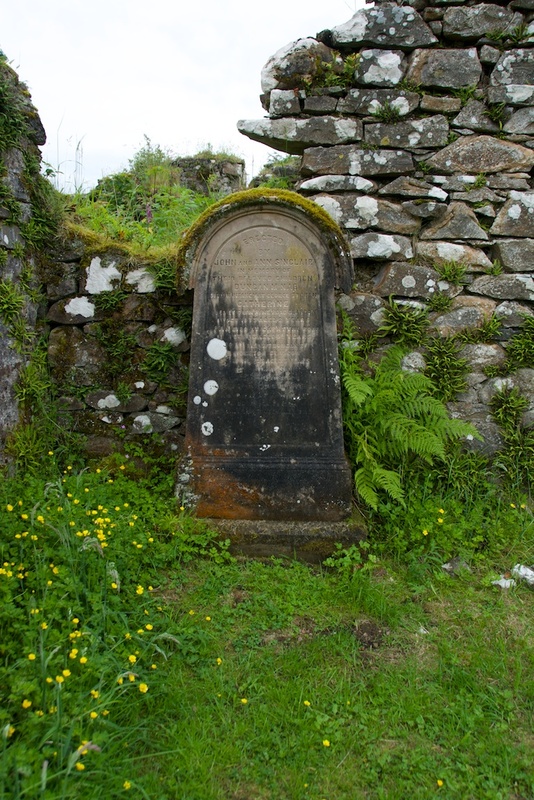 There is a now a booth, “Kiosk Kilbride.” where visitors will find a register of the position of every grave stone identified , and, where relevant, (not all the grave markers include details) dates and names, to which the stones refer. . Brochures and guides are freely available in the kiosk, with an invitation to drop a pound or two in the Donations Can! or buy a souvenir mug……Once again thank you for the positive article. Haste ye back. And, to repeat, for further information see our web site wwwfriendsofkilbride.scot or telephone me on the number in the web page. Liam Griffin Friends of Kilbride. Dear Liam, Thank you very much for this, and for explaining about the amazing work of the Friends of Kilbride. Delighted to know that the site is a setting for live music sessions – what a lovely idea. For myself, it was a lovely place to find and explore, and I only hope that this article goes some way to spreading awareness about it. Wishing you every success!